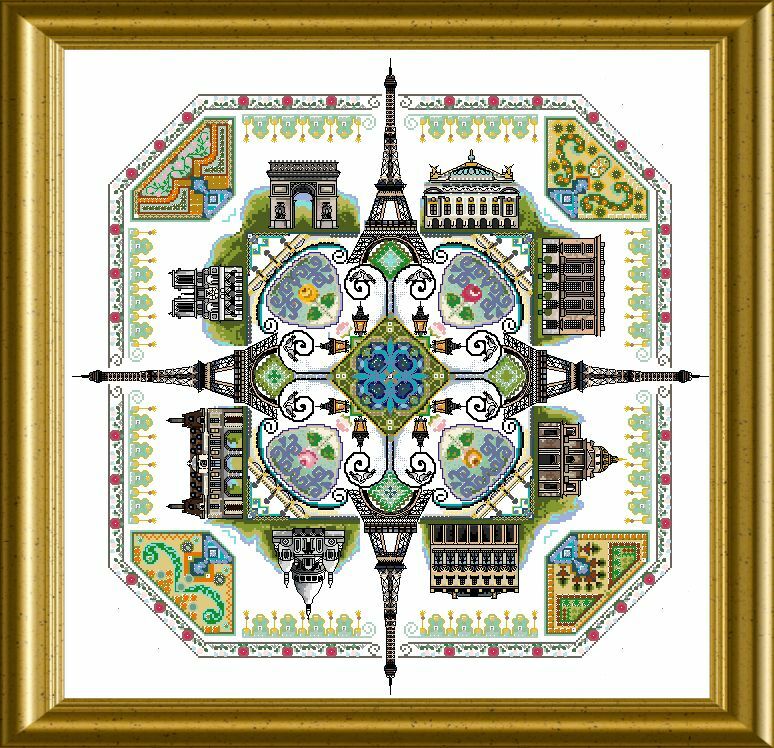 This is THE Paris Mandala – architectural highlighs arranged in a caleidoscopic design which has it all….Famous buildings and landmarks, typical Parisian garden scenes, lanterns, loving doves ….beautiful borders filled with elegance. 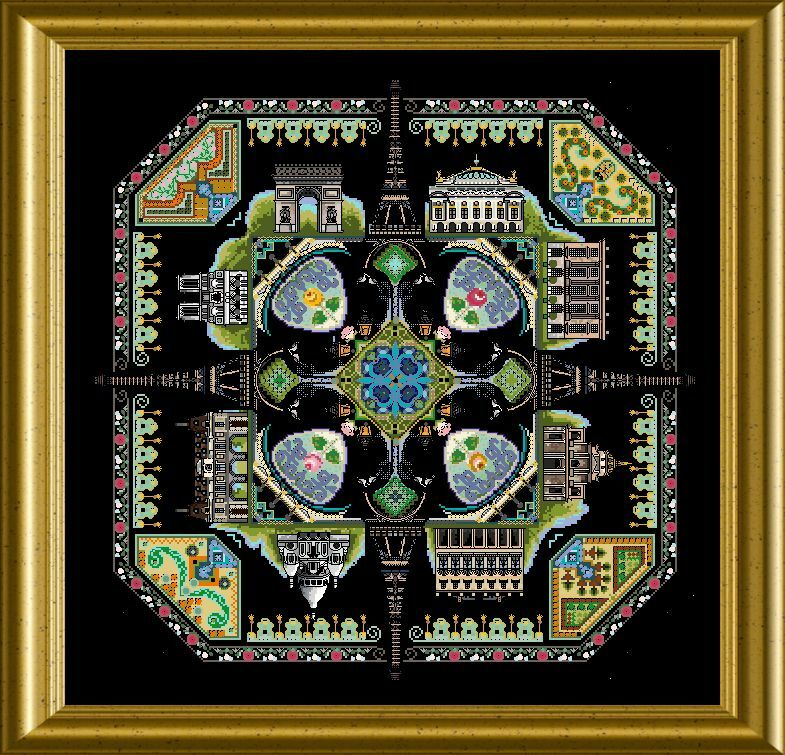 You will stitch cross stitch embellished with many Special Stitches – all well explained in diagrams ! 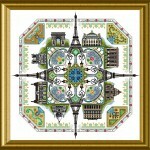 Many different threads, beads and crystals add to the entire design and entertain during the stitching. You can download the Material List here. Do u ship to USA? What is the price is US dollars? why is there no material list included here?